The Wellcome Library preserves many historical works from Islamic countries. Often these works have titles that bear no relation to their content, or sometimes works on very different topics have the same or similar titles. Many works on medicine contain the word ‘garden’, for example. 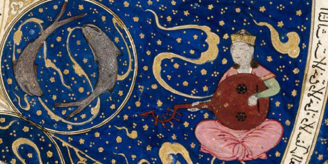 While native Islamic readers familiar with medieval Islamic texts are able to identify and locate texts in their collections seemingly without any system of organisation, such titles are an issue for Western librarians and museum curators trying to assess the content of such texts without necessarily reading them in their entirety. The Spanish scholar Carmona Gonzalez reconsidered the function of the standard two-part Islamic title that is divided by the preposition ‘fi’. Instead of the traditional translation of ‘fi’ as ‘in’, Gonzalez suggested another meaning ‘about’ or ‘with regard to’. The effect of this was to identify the second part of the title as the subject of the work. For example Avicenna’s famous Cannon of Medicine Al-Qanun fi-t-Tibb becomes ‘an all-encompassing work about [fi] medicine’. I have built on Gonzalez’s research while cataloguing Islamic medical works preserved in the Wellcome Library. It transpires that the titles of Islamic works function more like library classifications than the literary ‘bait’ of the European tradition. By analysing several thousand titles across different collections I came to conclusion that the first part of the title refers to the genre or type of work, and the second part refers to the subject matter. From an uncatalogued manuscript at the Public Library of Amasya, Turkey. Image credit: Nikolai Serikoff. Here’s an example. A well-known work by the 13th century Arabic author Ibn Abi Usaibia (1203-1270) is called ‘Uyūn ul-Anbāʾ fī Ṭabaqāt ul-Aṭibbā’. A native speaker would start with the second part, Ṭabaqāt ul-Aṭibbā, which is itself in two parts. The Aṭibbā indicates the subject, i.e. medical practitioners, and Ṭabaqāt that the format is ‘layers or sections’ that follow each other. In this case further additions to the title indicate that the accounts are written in the form of news or tidings (Anbā) but only certain aspects sources – literally eyes – (Uyūn). In order to locate this work, a reader might go to the medical section of the library and find the subsection on biographies (Ṭabaqāt) then search alphabetically for the title beginning ‘aspects of news’ (Uyūn ul-Anbā). As you can see this system operates in a very similar way to a modern classification system such as Dewey, and like Dewey, adding more ‘tags’ to the 2-part structure gives a more precise description as well as a way to arrange and locate items. Moreover, like Dewey the system once adopted is universal in scope. Terms such as ‘garden’ (bustan) in medical texts now make more sense if seen as ‘standard’ descriptions for a genre or narrative of a work that could be recognised by subsequent scholars to fit into a Universal Knowledge system. The remarkable thing is that this was developed in the 10th century CE and modern library classifications were not developed until the 20th century. 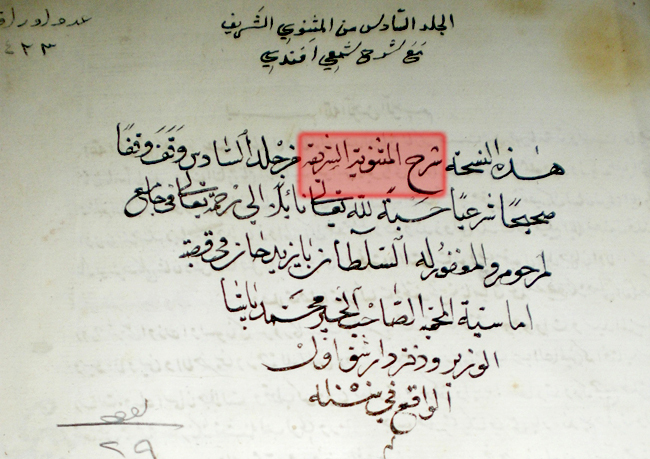 Such a system was never formally institutionalised but it does seem to have been part of a tradition among Islamic scholars, and once recognised, such titles could be assigned not just by by the author, but also a scribe, a librarian or even a binder and be generally understood. “Thine hand shall find our all thine enemies: thy right hand shall find out those that hate thee” KJV OS PS 21:8. Another feature that effectively made this a universal structure of knowledge was the fact that phrases in the Arabic language were predominantly used for the titles regardless of what language the actual work was written in. So whether the work was written in an Iranian language (Persian, Kurd or Ossetian, etc. ), Turkic (Ottoman, Uzbek, Uyghur, etc.) or Greek or Slavonic (Bosnian or Byelorussian), the Arabic two part structure of the title (and often an introduction in Arabic) meant that it could be identified across the Islamic world. Fore-edge title from a work in the Public Library of Amasya, Turkey. Image credit: Director of the Public Library in Amasia. Callimachus of Cyrene (310/305-240 BCE) , was the first to propose such a two part title when cataloguing books at the Library of Alexandria. 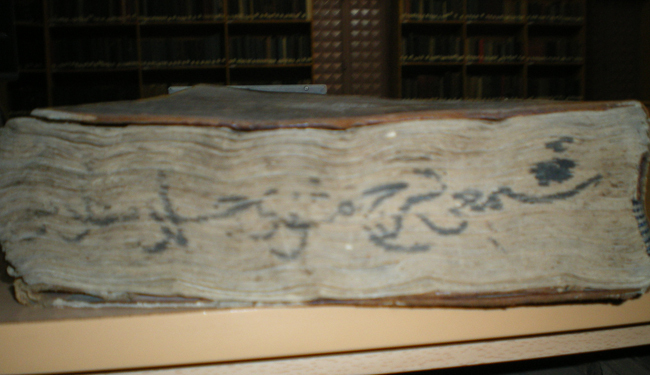 The ‘classification’ system was adopted by the Arabs and modified in the 10th century CE by polymath and bibliographer ibn an-Nadim, author of the famous Kitab al-Fihrist, leading to the development of the fore-edge title, which effectively became the shelf-mark or shelf-label as understood in modern libraries.